Maple Systems | Westmoor, Ltd.
Our motto is reasonable vacuum at a reasonable price. High vacuum units (over 20” Hg) are designed to maintain as high a level of vacuum as possible at the tree, overcoming leaks in the system. A practical way of overcoming leaks in a cost effective manner is to oversize the pump unit. Additional air flow in the pump will overcome leaks, maintaining a higher vacuum level at the tree. The information below is a guide for sizing pumps. It is recommended to upsize to the next larger vacuum pump unit for best results. - Choose the accessories you need to tailor to your sugar bush specific needs. - Years of research have taught us that belt drive units perform best over time. - Relief valves protect your tank and pump unit and should be included in any system. - Lower vibration and noise means longer life and lower maintenance of your unit. 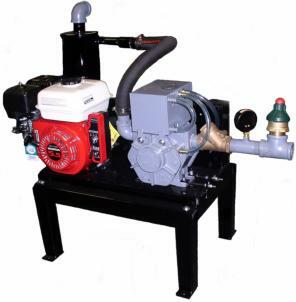 Condé Raised Base units include vacuum pump, motor (gas or electric), raised base on sturdy legs, vacuum relief valve, check valve, oil catch muffler and vacuum guage. 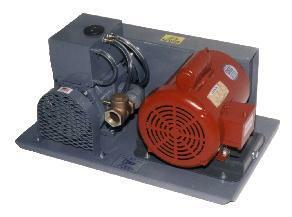 A variety of Conde Vapor Oil pump packages from 8 to 80 cfm are available. Conde Vapor Oil pumps require little maintenance and oiling system is automatic. Simply put oil in oil reservoir and run! Honda engine packages in pull or electric start versions. Electric motors in single or three phase options. Condé Standard units offer an economic alternative with the same high quality standards built into every unit. Standard units come with vacuum pump, engine or motor, check valve and vacuum relief valve. The optional Oil Catch Muffler is recommended with these units.